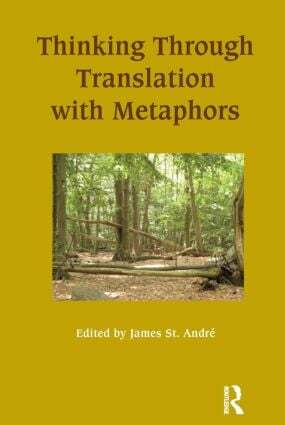 Thinking through Translation with Metaphors explores a wide range of metaphorical figures used to describe the translation process, from Aristotle to the present. Most practitioners and theorists of translation are familiar with a number of metaphors for translation, such as the metaphor of the bridge, following in another's footsteps, performing a musical score, changing clothes, or painting a portrait; yet relatively little attention has been paid to what these metaphorical models reveal about how we conceptualize translation. Drawing on insights from recent developments in metaphor theory, contributors to this volume reveal how central metaphorical language has been to translation studies at all periods of time and in various cultures. Metaphors have played a key role in shaping the way in which we understand translation, determining what facets of the translation process are deemed to be important and therefore merit study, and aiding in the training of successive generations of translators and theorists. While some of the papers focus mainly on past metaphorical representations, others discuss recent shifts in both metaphor and translation theory, while others still propose innovative metaphors in a bid to transform translation studies. The volume also includes an annotated bibliography of works centrally concerned with metaphors of translation.